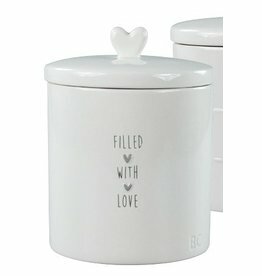 Gave Jar "Large White Filled with love in grey" van Bastion Collections. 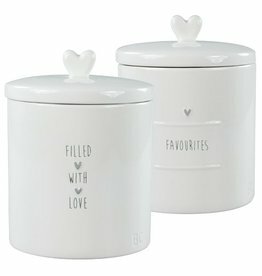 Gave Jar "Large White flavourites in grey" van Bastion Collections. 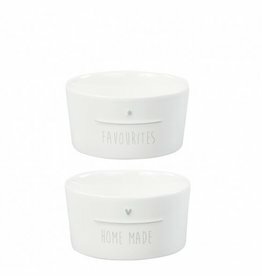 Gave Bowl " Favourites and home made in grey" van Bastion Collections.